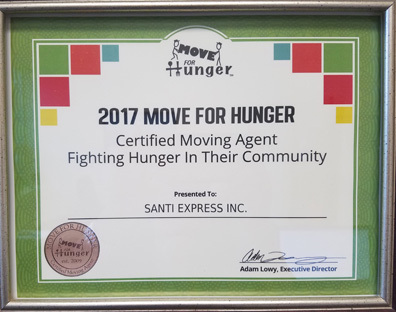 Santi Express continues to fight hunger in America one move at a time. We encourage our customers to donate their non perishable food to our local pantry, “People to People,” when they relocate. Drop off food at their office, our office or we will pick them up on day of move and bring items over.